Activities Coordinator | Health, Well-being & Personal Development. 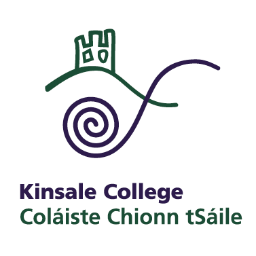 This new and unique Open College designed Activities Coordinator continuous personal development (CPD) course will look at how therapeutic and recreational activities are of paramount importance in the promotion of resident’s / clients quality of life and how the Activity Coordinator plays a central role in delivering purposeful activities that stimulate residents and improve their wellbeing. Prepared and written by our expert Healthcare tutors to link closely with our QQI Healthcare Support programmes this course will further explore the impact of ageing, social transitions associated with ageing and the importance of person centred care. The course will allow learners to develop approaches to designing and implementing activity programmes in their work settings. The emphasis throughout this course is on developing positive communication skills, facilitating developmental activities and fostering meaningful participation with older people in care. On completion of the course it is hoped the learner will have developed upon their existing skills and knowledge base, in order to confidently develop his/her skills and understanding of the importance of designing, implementing and evaluating an activities programme within the care setting, which are engaging and beneficial to people in care. To develop learner’s knowledge of the various recreational and therapeutic activities. This course is suitable for all healthcare staff. People studying existing QQI Healthcare Courses. Those working in care of the older person care settings, whether residential, community or acute care. Or those who wish to gain additional certification to work in the area of Activities Coordinator. Course Times This Activities Coordinator course is completed through Distance Learning Course and there are no lectures to attend. Students can complete this course within 3 months which is ample time and can start it at any time of the year that is convenient. If students need to extend this period for any reason during or near the end of the course they can request an extension through the college. Title of Awarding Certificate in Activities Coordination from The Open College. Entry Requirements - Level 4 Certificate or equivalent qualifications and/or relevant life and work experiences. - As this programme is delivered through distance learning or eLearning, students must be capable of studying on their own initiative. - If you take this course by eLearning you will need basic IT skills and have access to broadband. For information about The Open College, please visit our college page on www.nightcourses.com by clicking here. This Care Skills course is ideal for those looking to gain the knowledge, skill and competence to care for clients while providing and maintaining a hygienic and safe environment.